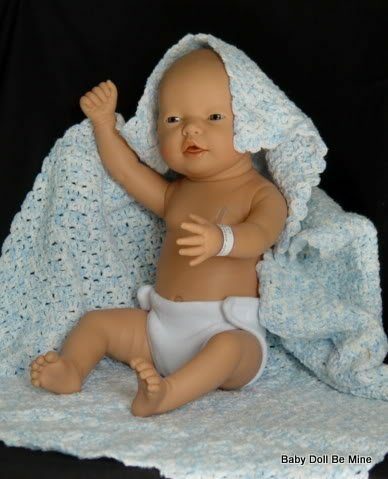 This very sweet little baby is a Caucasian Natural Baby made by the Diana Collection. 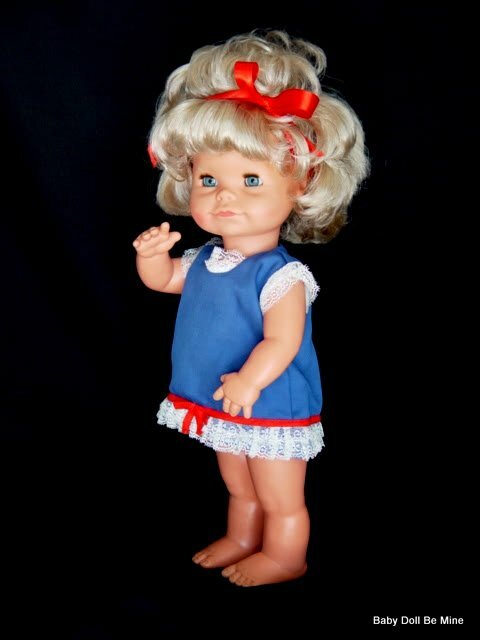 She is 21 inches tall and has an all vinyl sexed body that is jointed at the neck, arms, and legs. This baby has blue eyes and molded and painted hair. She is an anatomically correct real baby girl. Natural baby is a perfect model for breastfeeding, burping and other newborn care demonstrations. 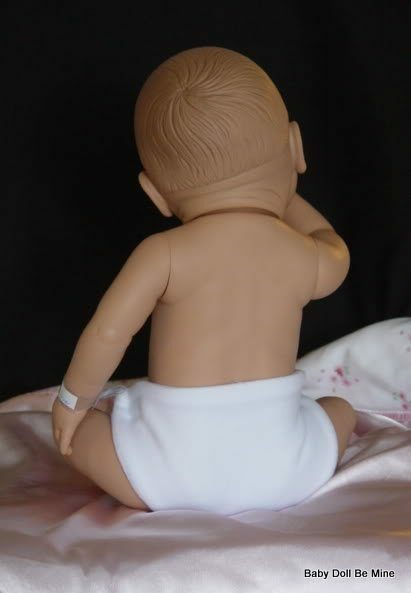 The head can be positioned to show proper latch as well as how to take the baby off the breast. The mouth is deep enough to insert a fingertip to check the postion of the baby’s tongue. 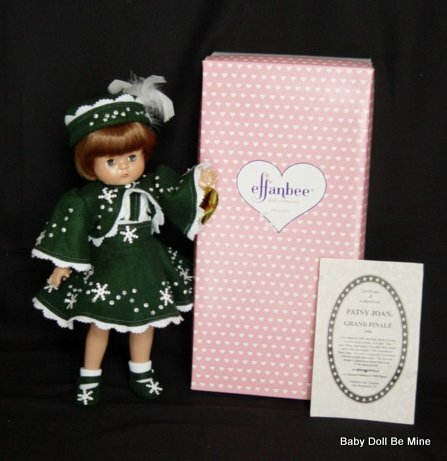 A really nice thing about this doll is that she was made in Spain, and also she can wear some baby clothes. She comes to you new in her box with her velcro diaper, birth certificate, and hospital bracelet. The blanket is a prop only and is not included in this listing.